White House Marijuana Smoke-out a Success! 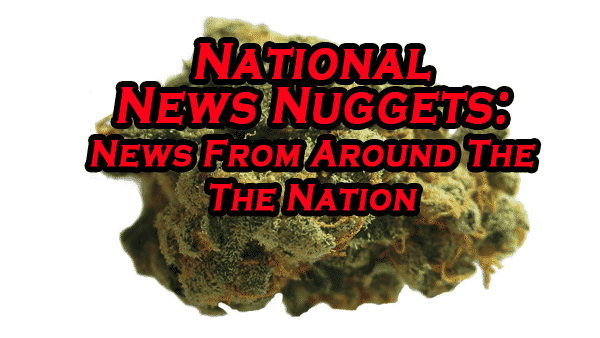 In a move that was a little late in its planning and divisive within the cannabis law reform movement itself, a group of legalization protesters held a smoke-out in Lafayette Square Park across the street from the White House in Washington D.C.. Many leaders in the cannabis law reform movement felt that the move was not representative of what a protest ought to do, which is to commit acts of protest that they believe ought to be legal, not just thumb their nose out of frustration. Their point is, does anyone, including most of the protesters, really think smoking marijuana publicly in a public park is a good idea? If not, why do it? They have a very good point, I guess. Problem is, Obama has not done enough to loosen the reins federally, so a thumb to the nose was probably due. He will be gone in a few months, and the opportunity will be lost forever. Virginia Governor Terry McAuliffer has signed into law two measures which legalize the medical use of cannabis extracts for the treatment of epilepsy. Virginia Governor Terry McAuliffe signing House Bill 1445 and Senate Bill 1235 into law. Senate Bill 1235 and House Bill 1445 both include emergency clauses, meaning they’ll take effect immediately. The new law allows those with seizure disorders who receive a recommendation from a physician to possess and use cannabis extracts that contain at least 15% CBD (cannabidiol), and no more than 5% THC (delta-9-tetrahydrocannabinol) or THCA (tetrahydrocannabinol acid). Both measures make it clear that practitioners shall not face prosecution if they distribute cannabis extracts to qualified patients. A Kennebec County Superior Court judge ruled on Friday that state officials may have improperly invalidated thousands of signatures of registered Maine voters and unlawfully denied citizens their constitutional right to vote on a proposed ballot initiative to regulate marijuana like alcohol. Justice Michaela Murphy found that state officials invalidated more than 5,000 petitions —which included more than 17,000 signatures from Maine voters that were validated by town clerks — without actually reviewing every petition in question. The Secretary of State’s Office must now review all of the disputed petitions and place the initiative on the November ballot if it determines enough valid signatures were collected. On March 2, Secretary of State Matthew Dunlap informed the campaign that its proposed initiative did not qualify for the November ballot. 61,123 signatures of registered Maine voters were required, and state officials determined that initiative backers submitted 51,543 valid signatures. In a document explaining his determination, the secretary of state said his office invalidated more than 5,000 petitions, which included more than 26,000 total petition signatures, solely due to its finding that the signature of a single notary did not “match” the signature the state has on file. On March 10, supporters of the initiative filed a lawsuit challenging the decision. © 2016 The Weed Blog. Reprinted by permission. All rights reserved. A new study published in the Journal of the American Medical Association (JAMA) Psychiatry disputes another study, published last October in the same journal, that adult use of marijuana in the United States has doubled. The new research found that marijuana use increased by about 20% between 2002 and 2013, rising from 10.5% to 12.5%. Instead of using face-to-face interviews, Grucza and his co-authors used data culled from a computerized questionnaire, the National Survey on Drug Use and Health for the years 2002 to 2013. © 2016 247WallSt.com. All rights reserved. U.S. Senator Lisa Murkowski (R-Alaska) is calling on the federal government to allow those who possess and use cannabis legally under their state’s law to possess firearms without the fear of federal persecution. U.S. Senator Lisa Murkowski (R-Alaska). Murkowski actually opposed the initiative that legalized cannabis in Alaska, but now that her constituents have spoken, she’s doing what a lawmaker should do and is representing their interests. Murkowski feels that if someone is consuming cannabis legally, whether it in Alaska or another legal state like Colorado, they shouldn’t have additional restrictions placed on their gun rights. According to a letter Murkowski sent to the Department of Justice last month, she believes that denying Americans their personal Second Amendment right to possess firearms “for mere use of marijuana pursuant to state law” is “arbitrarily overbroad and should be narrowed”. 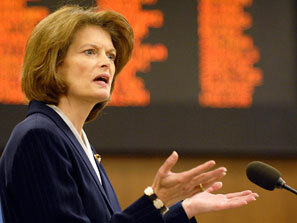 Murkowski is calling on the Department of Justice to review the law that disallows legal cannabis consumers from possessing firearms, stating; “In my judgement the disqualification of an entire class of marijuana users acting consistent with state law from possessing any firearm merits a view of federal legal policy… Without such a review I fear that otherwise law abiding citizens will choose to answer the marijuana use question on Form 4473 either they believe their use is fully lawful or because they believe marijuana use consistent with state law should not subject them to a firearms disability. On March 26th, Governor Scott signed a bill making medical marijuana legal for people who can prove they’re dying within 12 months. By passing this illogical, limited bill which does nothing for the vast majority of patients (whether they are dying or not), Scott and his cronies in the legislature will try to say they’ve already passed medical marijuana and therefore we don’t need Amendment 2. They probably think this law gets them off the hook and/or will distract the public into thinking the job’s done. They’re wrong. While they’ve acknowledged that marijuana is medicine, the new law does nothing for people who are fighting to stay alive, who need marijuana to help inspire hunger and alleviate pain, or alleviate life threatening (but not necessarily fatal) seizures. The new law denies medical marijuana to soldiers with PTSD and to those with MS.
Amendment 2 gives access to those who are seriously debilitated, whether or not they are dying within an arbitrary period of time. We MUST pass Amendment 2 for those patients and more. Please support our efforts and our drive for 1000 new donations between now and April 30. We only have 755 to go! Visit www.unitedforcare.org here to support our 1000 donor drive with a contribution of any size. Thank you for everything you’re doing to support medical marijuana in Florida. On March 23, 2016, the Mayor of New Orleans, Mitch Landrieu, signed into law a sensible new ordinance to decriminalize marijuana possession in the city. On March 17, the city council unanimously passed the ordinance. It will become effective on June 21, 2016. Ordinance 31,148 will allow law enforcement to issue a ticket — rather than arresting — for marijuana possession and reduces penalties from possible jail time to a civil fine of $40 to $100 if the officer cites under local law instead of arresting under state law. Rep. Ted James, Florida House. And, on April 5, 2016, Rep. Ted James (D–Baton Rouge) introduced HB 1112 — the Louisiana Therapeutic Use of Cannabis Act — which would establish a comprehensive program for the use of medical marijuana in Louisiana. While the legislature passed a bill seeking to institute a similar program last year, problems with that law — and prior ones dating to 1978 — have made the system unworkable. For example the current program requires a doctor’s prescription for a patient to legally possess and consume medical marijuana under state law. But under the federal Controlled Substances Act, doctors cannot prescribe marijuana. They can, however, recommend it. HB 1112 removes this flaw and offers seriously ill patients in Louisiana, and their families, treatment options that may offer relief. Under the bill, patients could obtain up to 2.5 ounces of therapeutic cannabis from regulated establishments in a 14-day period. © 2016 MPP. Reprinted press release.